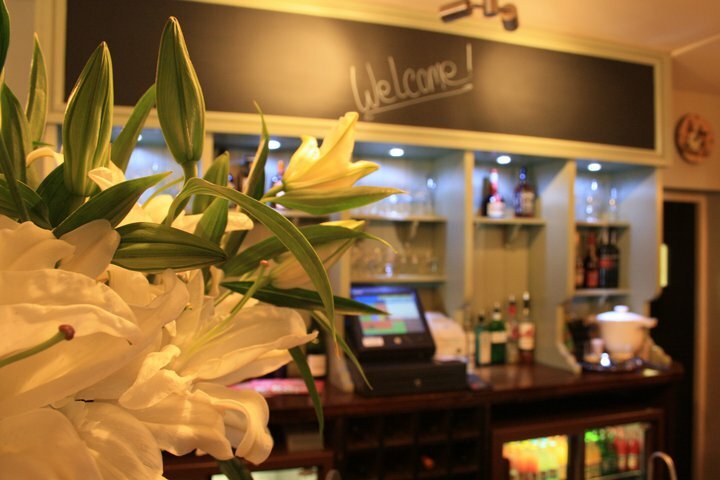 The Rose Inn is a warm and welcoming country pub serving local & freshly prepared meats and fish to order. We have a range of traditional real ales, draught beers and a well stocked wine rack. Our daily lunch and evening menu has something for everyone, from the all time favourites to some more modern dishes. We also serve traditional Sunday roasts every Sunday lunchtime and once a month our tasty Tapas. During the summer, The Rose Inn is a great place to come and enjoy a drink with friends in the garden. If you’ve been to one of our events in the garden, then you’ll know that we host a good party! However, if you’re after something a little more sedate, why not come and dine in the comfort of The Rose Inn and enjoy the charm of our 400 year old country pub. The Rose Inn is even better in winter! What can be better than drinking your favourite tipple whilst sitting on one of the comfortable tweed upholstered settles by a roaring log fire? We not only welcome you but also your four legged friends, so if you’ve been for a long walk and are in need some sustenance then feel free to leave your boots at the door and come on in! Here at The Rose Inn we can also cater for larger parties, so if you have a special occasion coming up and would like to enjoy it with friends and family then why not get in touch and we can help you arrange it.